It's one of the most impressive photographs of Mars' Endeavour crater ever taken, but the image featured here is special for another reason, as well: it features the photographer (or, at least, the photographer's shadow). Operators of NASA's Opportunity rover waited for Mars' late-afternoon sun to dip low on the planet's western horizon, causing the rover's shadow to project eastward into the fully illuminated crater. 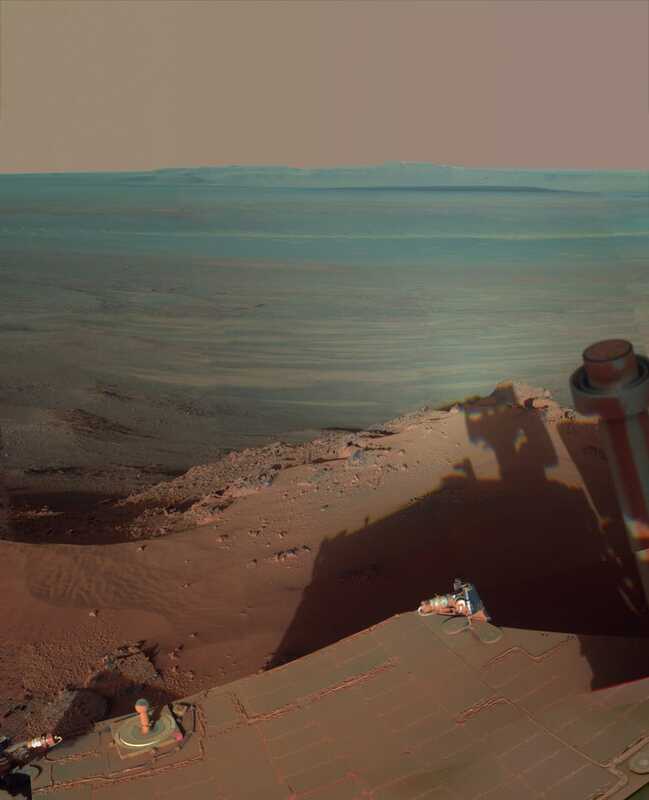 The result is a surprisingly emotive photograph that is half landscape, half self-portrait; a reminder that on a planet millions of miles away, on an expedition that has extended literally thousands of days beyond its original 90-day mission, is an intrepid little rover that still roams the Red Planet's surface in search of discoveries. Click through to NASA for more info, along with a variety of hi-res viewing options.